We know you have many schools to choose from and hope to help you make the most educated decision on which school and courses to choose by reading this page. Just let us know if you have additional questions – we are eager to assist you. WHY CHOOSE LEARN TEXAS REAL ESTATE ONLINE? Since TREC has been measuring the school pass rates (over 7 years), Learn Texas Real Estate Online has held the number one or number two position! This is why we’ve offered a money-back guarantee for several years. Other schools will give you only 6 months to take their courses and the state exam or require you to make higher than required scores on their course exams to qualify for their guarantee. Still others will require you to fail the state licensing exam THREE TIMES before they will grant you a refund! Yet another makes you agree to a contract stating that you will not take the state exam again, should you fail it using their courses. We have none of those restrictions. 2) EXCELLENT REPUTATION: Other real estate schools may have a similar (though still lower) pass rate to ours, but if you do a google search on their full company name you will find that they have complaints filed with the Better Business Bureau and Ripoff.com. Check out their student feedback on these sites to see how students feel about their services or products. You will not find our name on any complaint site. 3) BEST TEXAS REAL ESTATE COURSES: We partner with and offer THE lowest package price online for Dearborn’s pre-license courses – delivered over the internet with nothing to download, so you can access them with any computer or laptop. Dearborn has been the leader in Real Estate training for over 50 years, having produced the books that instructors use in the classroom for most of that time. Ask any classroom instructor what books they prefer and they will likely say “Dearborn”! What we market are their online courses and exam preps, which are known nationally to be the best training in the real estate agent education market. If you are considering other schools, ask them if they are using Dearborn’s courses and if not, get as much information as possible on who wrote and produced each of their courses. Most schools won’t provide you with many details in this area. This most popular package includes the 6 required courses: Principles of Real Estate I and II (including over 60 NEW video clips), Law of Agency, Finance, Contracts and Promulgated Contract Forms, plus the Pearson Vue national and state exam preps – with access to all for one full year. One hour per week of an Interactive Study Group, led by a national instructor. Shortly after you register, you will receive an email titled READ ME: Important Pre-license Course Details. Be sure to read this, as it will tell you more about how the sessions work and provide you with upcoming dates and topics to be covered. No other online school in Texas provides this service! ALSO: Our no risk 24 hour trial/refund policy applies to this package. Just notify us via email that you no longer want the program within 24 hours of your enrollment and we will issue a full refund, no questions asked! For the Option 1 pre-license package, our price is $399 or $489 with online proctor services included (see our Proctoring page for more details). AND we offer a guarantee that you will pass the state exam on the first try or your money back! Ask other schools what their prices are – you won’t find another school with lower pricing on Dearborn courses. To qualify for the guarantee all you have to do is take your courses, exam prep and state exam within one year of purchasing your pre-license package. As of 9/1/17, the Texas Real Estate Commission began requiring all 6 course final exams to be proctored. We give you the choice of having your own proctor (often for free) or utilizing our online proctor partner. No other school provides these 2 options. Please visit the “Proctoring” page on our website for more details. Make sure you have an exam prep included in any package you purchase. The exam prep is crucial to your success and ours has recently been completely updated and redesigned to be very similar to the Pearson Vue state exam. This familiarizes you with the format they use and greatly increases your odds of passing the state exam on the first try. Our exam prep covers both the state specific and national portions of the Texas Salesperson exam. It is called the “Q-Bank” and it has over 1,000 questions to choose from so you will be fully prepared for the state exam. You can even customize the exam prep to focus on a particular topic if you want! This product is SO good, we often have students who took their courses elsewhere, failed the state exam and then come to us for advice on how to pass it. They purchase our Q-Bank and pass it on the first try! If you can’t afford the $399/$489 package, we now offer an inexpensive pay as you go option that no other online school in Texas offers. Purchase each course individually as you can, for only $99/114. Upon the completion of your 6th course, you will receive the Pearson Vue exam prep tools for FREE (a $99 value)! 4) BEST SERVICE: We are a small company, backed up by a large Technical Support and even larger Course Development team, which includes award winning Brokers and Real Estate Agents who have decades of course writing experience. We focus on quality, not quantity and depend on repeat/referral business, meaning we have to provide the best service around. Most of our students come to us by way of our high pass rate on the Texas Real Estate Commission’s website. We also offer high quality 100% US-based support, available 7 days a week. Many of our competitors only provide support on weekdays and provide at least some portion of student support from overseas with people who can hardly speak English. Students are often frustrated by that, so if it might bother you too, ask other schools who provides their technical support and where they are located. It seems like every month a new Real Estate school pops up online. Learn Texas Real Estate Online was approved as an online school by TREC in 2005 and was previously engaged in online technical training since 1998. With our years of experience, we have a great understanding of what it takes for students to best learn and retain knowledge from online education. That understanding is what made our decision to go with Dearborn courses very easy. 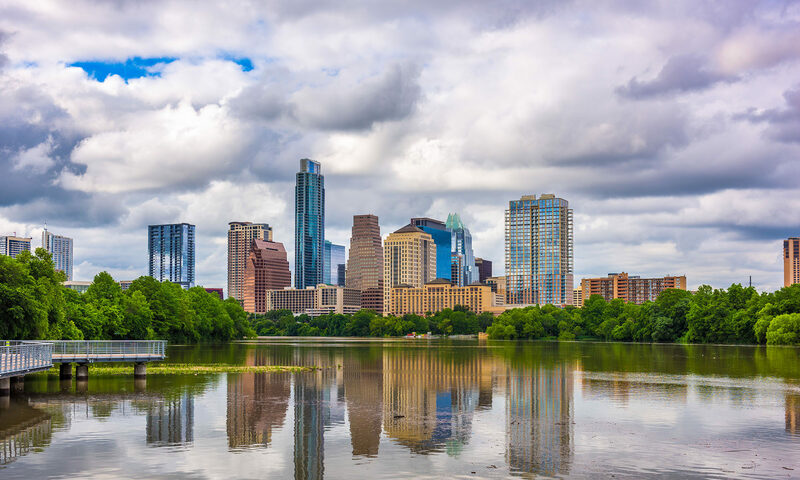 We are dedicated to Texas and do not focus on any other state, so we are very well-informed on the Texas Real Estate Commission requirements and the Texas Real Estate market in general. 5) TEXAS-BASED/WOMAN-OWNED COMPANY: Support your local small business and keep your money in Texas! We are one of very few online course providers based in Texas (in Austin). Most of the others are out of state such as California, Colorado and Georgia, meaning your dollars end up in those states, not in Texas. We have been a TREC approved school since 2005 (you can find us on their website, but you won’t find all of the others you see on the web there). Ask other schools how long they have been approved in Texas. Dozens that had been around as long as we have are now fallen by the wayside, since TREC will no longer let them renew their status if their state exam pass rates are too low. Others are so new, they don’t yet have enough history to insure their pass rate over the long-haul. Don’t be fooled by a new-comer with less than a year of passes on the state exam. 6) SMALL COMPANY/BIG BENEFITS: Don’t just be a number! Our company is run by people who have won numerous customer service awards in previous corporate employment situations. We remember who our students are and we provide you with individualized assistance and quick turn-around, should any issue arise for you. Many of our students have expressed that we “go beyond the call” to be of assistance to them. We answer our office line 7 days a week (even holidays), from 8AM to 8PM and Technical Support is there for you 7 days a week as well. Email is also answered by us in a very timely manner. Check out our testimonials for more praise about Learn Texas Real Estate Online. Be sure to ask other schools what their hours of operation are and how quickly you can expect to receive responses. How long will it take me to complete these courses? This varies widely, depending on your amount of free time and previous knowledge of Real Estate sales. We recommend you study one 30 hour course per week – if you are currently employed and your time permits. The courses are challenging and you will be learning a lot of new information, but they are self-paced. As of 9/1/17, the courses are timed by the course administration system (as required by TREC), so you cannot complete a course in less than 30 hours. We have seen our packages completed by students in as little as 3 weeks, but 2-6 months is more realistic for most people. You are automatically granted 1 year of time on the courses when you register. This can be extended by another 6 months if an emergency arises for you. Please be aware that extending your courses beyond one year does void our money-back guarantee, since we see the highest state exam pass rates for those students who complete within one year. Check with other schools to see what their time limit is on taking the courses and/or state exam. Most other schools only offer 6 months, or will charge you for extra time. How do the tests in the online courses work? There are 2 types of tests associated with the courses themselves. First, after each chapter, there is a unit test you must get 100% accuracy on to pass (another TREC requirement as of 9/1/17). You can review and retake this as often as necessary to obtain that score. This is actually an old rule they have re-implemented. This design of the courses really forces you to retain the information before you can proceed to the next unit. Then there is the final course exam (one per course). You must get 70% of the answers correct on these and you have 2 attempts to pass each course exam, however you must wait 3 days between attempts, per the Texas Real Estate Commission ruling – and you must take that 2nd attempt within 90 days. Should you fail the 2nd attempt, the real estate commission now requires you to retake that individual course, so please study hard before attempting those exams. As of 9/1/17, course final exams (not unit tests) now have to be proctored. This means an un-biased person has to watch you take the course final exams. This step verifies your identity and greatly reduces the chance for cheating on course exams. GREAT NEWS! You can either find your own proctor or utilize our partner, ProctorFree for online proctor services. Please refer to the “Proctoring” page on our website for more information. Be sure to find out how other schools handle proctoring and what the associated fees are. These fees can greatly increase your total cost for training. Will I receive books with these courses? No, all 6 courses and the exam prep are 100% online. The online courses bookmark when you exit, so you can enter at the same point you left the course. All progress within each course is tracked for you automatically. You can purchase books in our bookstore, at an additional cost, but in our 13 years of business and thousands of students trained, only a handful of students have felt that was necessary. The Principles I and II courses are typically the most challenging, as they lay the foundation for the other courses. These courses now include over 60 NEW video clips! Generally we see course exam scores go higher and higher as students progress through the 6 courses. We recommend you complete these 2 courses before deciding whether it’s necessary to take on the added expense of ordering books. For a sample of how an online course and the progress tracking works, just click here for a Recampus Student Demo. Ask other schools to see a sample of their courses before you spend money on them. Still not sure if online training is for you? We now offer a 24 hour trial period on the $389/$479 package! If you decide you don’t want to keep the package, just email us within 24 hours of your purchase and we will refund your money – no questions asked. Please be aware that it does take 7-10 days for the bank transactions to occur. TREC REQUIRED NOTICE, AS OF 9/1/17: A criminal history may make you ineligible for the license you seek and you have a right to request a criminal history evaluation from the licensing authority, the Texas Real Estate Commission. Please contact them at information@trec.texas.gov for more details on this. Other than all these great reasons, we’re just nice people who are excited to be helping others obtain their real estate license. Even if you do choose another school, we want to make sure you have all the information you need to make the most informed decision. We hope this helped you in that endeavor. Please let us know if you have any questions at all. We hope to see you studying hard on our courses soon!